SA is lagging behind in digital marketing spend in relation to international markets. According to a new study by eMarketer, companies in the United States spend about 35% of their budgets on online marketing, with the remaining 65% going towards traditional offline marketing. Furthermore, 71% expect to increase their digital spend in 2013. In South Africa, however, companies currently only spend 2% of their budget on digital marketing, with 63% being spent on broadcast and 30% on print mediums. Grant Shippey, CEO at Amorphous, the business solutions-focused digital marketing agency, says that while internationally, there is growing recognition of the importance of a strong digital presence; many South African companies have failed to adopt this shift. “Even after allowing for the fact that a smaller proportion of South Africa’s population has Internet access compared with countries such as the US, the allocation to digital is still conspicuously low. Shippey says currently, digital marketing budgets in South Africa are vastly overshadowed by those spent on traditional off-line campaigns. 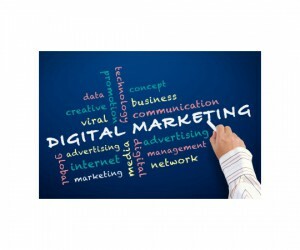 “Local companies continue to place too much emphasis on traditional marketing. Historically, companies have become comfortable to allocate their marketing spend without seeing a tangible return on investment. This is particularly true of the advertising industry which comes from a legacy of little, to no meaningful measurement. He notes that previously available data has always tended to be spurious, relying on focus groups or street level surveys. “There is a perception of data scarcity with regards to marketing, whereas in fact, we are operating in a data abundant environment, especially when making use of digital campaigns. "By properly using this data, companies can also gain a far better understanding of how marketing can assist in formulating their overall business strategy,” he says. He says digital marketing feeds data back instantly, enabling a company to identify what does and does not work in a campaign and to adjust for any inefficiencies as they arise. “This provides real feedback based on actual information rather than artificial feedback such as a focus group or a snap survey,” he says. He says this also enables the messaging in a campaign to be adjusted as required, but perhaps even more importantly, allows the company to adjust pricing, placement or even product, based on immediate, relatively large sample-size based feedback. “If used properly, a digital campaign can actually close the loop on marketing systems by making them far more efficient and effective, so the true benefits extend far beyond a simple ROI calculation,” concludes Shippey.